2006 gave birth to DYJV-FM 106.1 MHz – a licensed FM broadcast station in the Philippines, with its studios located along Zone 5 Boracay Bulabog Rd, Malay, Aklan Philippines 5608. In 2010, RB106 Boracay's Best Mix was born - online. Radio Boracay stations are all green and go! 106.1 Radio Boracay began broadcasting in July 2006, the first to combine contemporary hits (commonly referred to as ‘Pop’ or ‘Top 40’) with an ‘island music’ format steeped in Reggae and ‘beach music’ under the direction of Jing Montealegre, the station’s managing director. It maintained a music philosophy focused on what it calls ‘cool beach music'. As an example, Radio Boracay played relatively rare reggae songs (i.e. 10cc’s‘Dreadlock Holiday,’ the Wailing Souls’ ‘Act Of Affection,’ etc. ), and regularly gives airplay to such singer-songwriters as Jack Johnson and Jimmy Buffett. As a ‘pop’ music station, Radio Boracay is known for spinning hits months ahead of music stations that pander to the masses. It is the premier ‘events’ radio station in the Island, and its deejays are geared for the frequent live coverage and hosting of beach concerts, sports events and the many other ‘happenings’ that yearly invade the island. March 2009 saw major changes in the station’s management. Longtime broadcaster Jonathan Cabrera (formerly a town councilor of Malay, the municipality where Boracay is situated) came to be the station manager, incorporating news and public affairs with music programming, thereby giving Radio Boracay a much wider scope of service to its listeners, now completing its mandate as a media outfit: to inform and educate, as well as to entertain. Inevitably, change is constant with Radio Boracay, as it is with everything else. October 2010, the station that has served the local Boracay community for over four(4) years now has got another ace up its sleeve as it embarks on a new partnership with one of the country’s biggest radio networks – Quest Broadcasting Inc., the mothership of Magic 89.9 and all Killer Bee radio stations nationwide (now they're all called MAGIC). 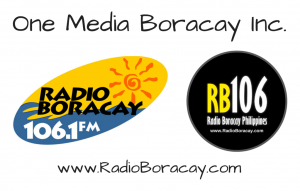 The new Radio Boracay goes on air under a brand spanking new initials: RB106 and a new slogan “Boracay’s Best Mix”, representing the rich, diverse culture of its inhabitants. Positive, energetic, service-oriented. 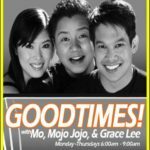 RB106 first test aired early September and surprised listeners when they heard Mo Twister and other Magic 89.9 FM jocks over the local radio and over PCTV Channel 3, which carries Radio Boracay broadcasts. 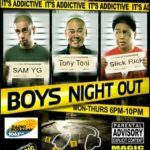 Soon, many were looking forward to their daily dose of “Good Times with Mo” and “Boys’ Night Out”, especially Boracaynons and island guests who have followed the shows in Manila and in other places in the Philippines (Magic shows are also being aired in Cebu, Davao, Cagayan de Oro, Bacolod and other key cities). With Magic’s show hosts eagerly promoting the Boracay broadcasts in their daily shows to their listeners nationwide, it’s only a matter of time before other Boracay stations follow suit. Radio Boracay or what is now RB106 aims to lead the way for production co-ventures, talent exchanges, and concert and theatre events to happen in Boracay in the future, especially in summer when the hordes of local tourists visit. When it’s happening in Boracay, you’ll hear ‘em all on RB106. 2013 looks bright and shiny with the NEW RadioBoracay.com website – “New Look for the New Year!!!”. Now more user-friendly and mobile-friendly, designed with you in mind. So whatever gadget you use, be it smartphone, PC, Mac, or tablet, RadioBoracay.com looks great and sounds cool – ANYWHERE. Now we’re giving you two (2) LIVE channels to chose from: Radio Boracay FM 106.1 [local broadcast] and RB106 Boracay’s Best Mix [online channel]. Plus the integration of the new TRAVEL section, the future is definitely looking up for Radio Boracay as we climb the most coveted ladder of all – Google rankings. As of this re-write [Jan. 05, 2013], RadioBoracay.com is on Page 2/TOP 15 on Google search for “Boracay” which is dominated by resorts, hotels, and online travel agencies. Not bad for a local radio station! But then again, we won’t stop ’til we get to the TOP! With this new direction, we aim to encourage the Radio Boracay commUNITY to travel with us to the summit and join the bandwagon in giving better service and work together in making the “best beach on the planet” a true world-class destination. Copyright © 2006-2018 One Media Boracay Inc. Boracay, Philippines.